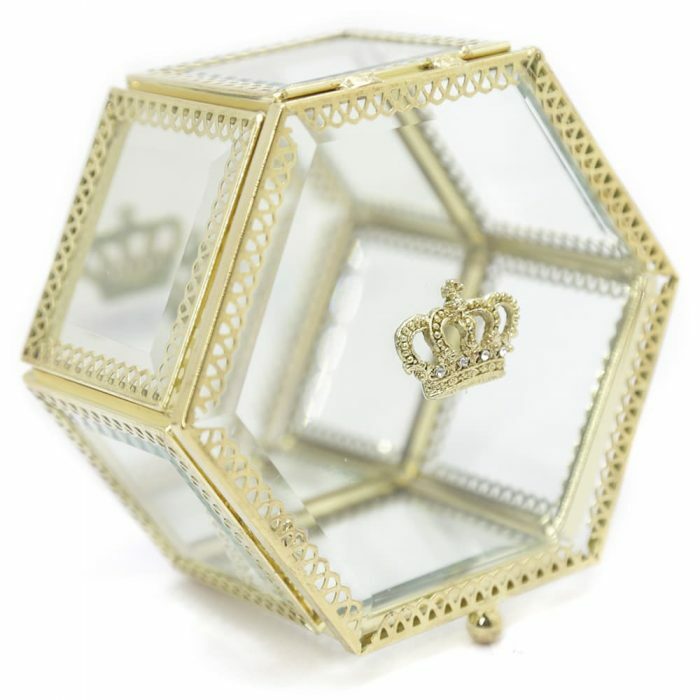 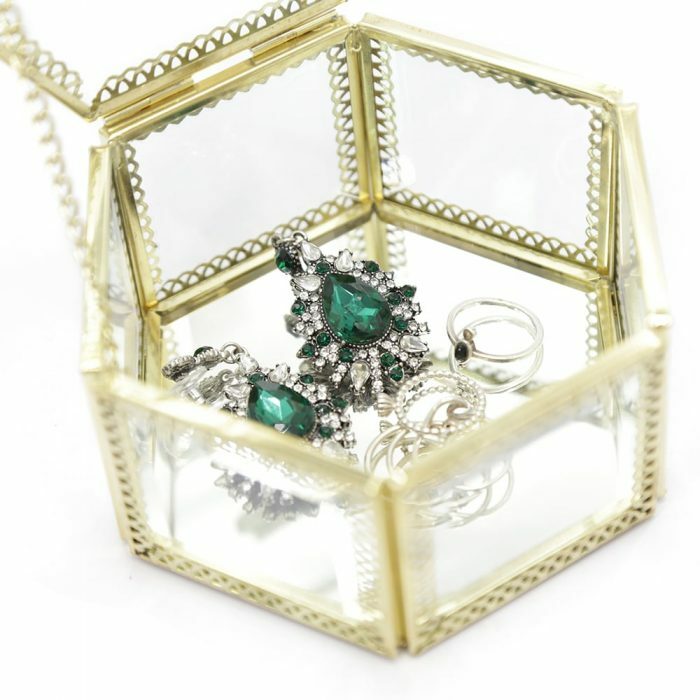 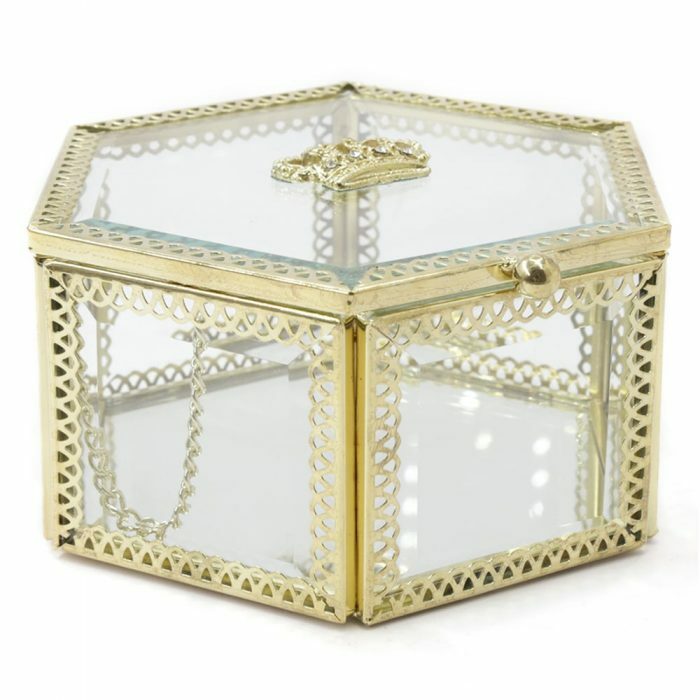 This Hexagon Golden Crown Glass Jewellery Box is a modern and elegant addition to your collection. It is large enough to store a lot of your favourite jewellery but it also allows you to display it. 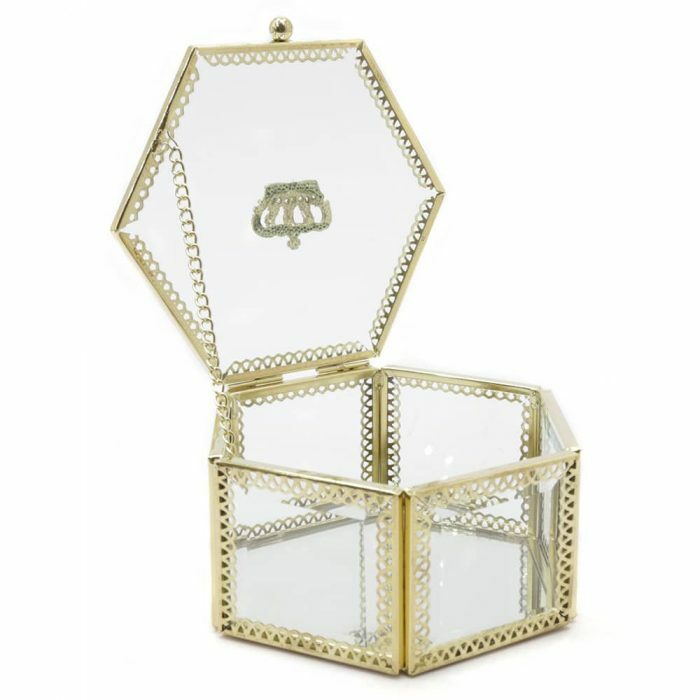 It is made with strong and durable glass in a hexagon pattern and lined with golden copper materials. 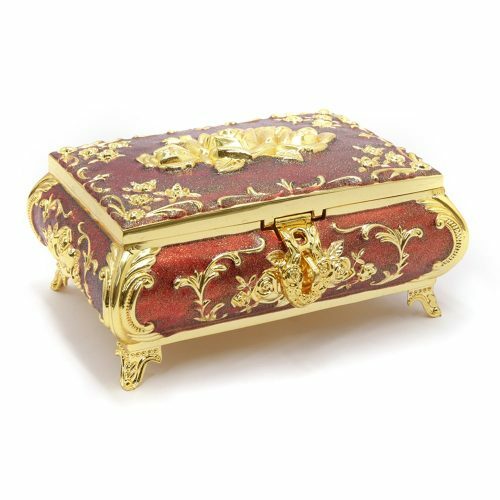 It has a stunning swirled patten around the edges and features a golden crown at the top. 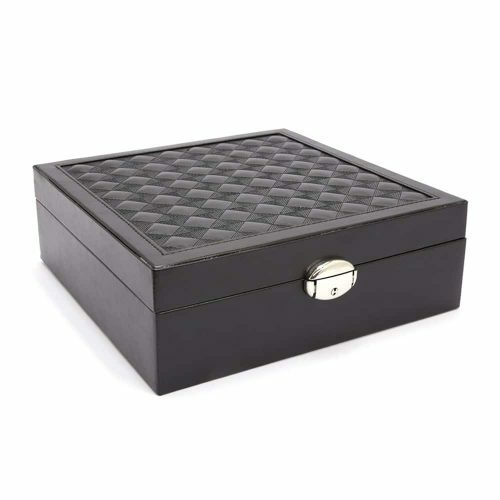 You can use this stunning, high quality glass box as a keepsake box, baby keep sake box or memory box, candle holder or a jewellery box. 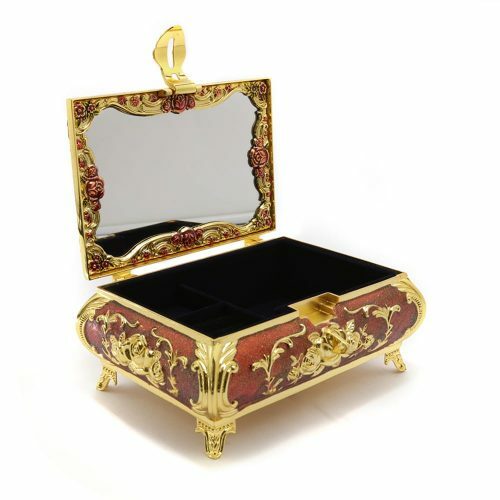 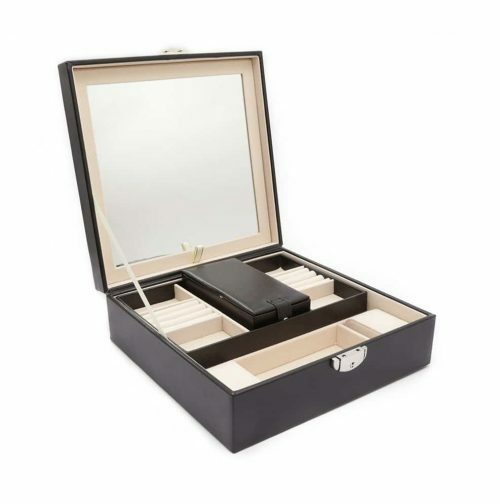 Anywhere you wish to place it or use it, it will add class and style to your room and protection to your valuables.